Prior to 1980, Non-Alcoholic Fatty Liver Disease (NAFLD) was uncommon; the occurrence of new cases was fewer than 3,000 a year in the United States. Now it is the most common form of liver disease. There are an estimated 300,000 new cases each year. NAFLD, once a disease of older adults, is now also found in teenagers. NAFLD has also been called the “silent killer” because it shows no obvious symptoms until the disease has progressed to the point of cirrhosis, or scarring of the liver. Scarred liver tissue does not function, and the odds increase of developing Hepatitis C and cancer. NAFLD can progress to the point where only a liver transplant can save lives. Non-Alcoholic Fatty Liver Disease is just what it sounds like; the liver loses function because ten percent of the liver or more contains fat cells. It’s often discovered through lab tests that show elevated liver enzymes, and is also often found with hypertension and high levels of “bad” cholesterol. NAFLD is linked to sugar in the diet, as it often is found with Metabolic Syndrome X (a precursor to diabetes). But it’s linked to a particular kind of sugar; fructose. This is a sugar found in processed foods, particularly sweetened beverages and fruit juices, as well as in whole fruits. The liver can’t assimilate fructose easily. The good news is that NAFLD can be treated with diet and natural supplements. The first step in defeating NAFLD is to cut processed foods and fructose out of your diet. Replace sweetened beverages with sugar-free teas such as hibiscus flower and decaffeinated chai. Make these at home and save money as well as your health. It’s important to cut out the sweetened beverages entirely; research has shown that even one fructose-sweetened drink a day can increase the chances of NAFLD and liver damage. Learn both the obvious and the hidden places where you might be consuming fructose. Fructose can be found in foods such as french fries and common condiments such as ketchup or salad dressing. Fructose might be made out of corn, as in high fructose corn syrup, but it can also be found in so-called healthy substitutions such as agave syrup. The diet for NAFLD is a relatively low carbohydrate diet. Two pieces of low glycemic fruit such as grapefruit or an orange or two servings of berries can be consumed daily. Avoid tropical fruits such as bananas and pineapple and also avoid dried fruits. Avoid grains almost entirely; 1 cup of quinoa, a half a cup of organic brown rice daily or a small (½ cup) portion of sweet potatoes can be consumed daily. The liver must be “starved” of carbohydrates to burn the excess fat. Avoid corn, oats, and wheat entirely. They are often sprayed with glyphosate as a desiccant and glyphosate is a known liver toxin. If the NAFLD has not progressed far then a cup of buckwheat cereal with 1 tsp. of buckwheat honey can be ingested for breakfast; it’s best to exercise after eating this meal. Consume goat dairy products instead of cow’s milk products (avoiding Bovine Growth Hormone) and buy organic produce if the produce falls in the dirty dozen to avoid. Avoid alcohol except for the occasional celebration. Consume organic eggs (the choline in eggs is healing to the liver), wild salmon, and organic pasture raised chicken and beef. Organic beans can be eaten, up to 1 cup daily, and squash of every kind can be substituted freely for refined carbohydrates. Healthy fats such as avocado oils, palm oil, ghee, and uncooked olive oils are healing to the liver. Avocados and raw nuts can also be eaten with moderation; no more than ½ avocado or 1/3 cup of nuts in any one serving. Avoid all soy and gluten meat substitutes while the liver is healing. Pea and Brown rice protein powders free of added sweeteners can be used. It’s also vital to avoid monsodium glutamate (MSG) as it creates food cravings and liver inflammation. Supplements are an extremely important aid to healing NAFLD. A daily dose of NAC (Nac-Acetyl-Cysteine) has proven extremely effective; start with one 500 mg. Capsule and move to two a day after two weeks. 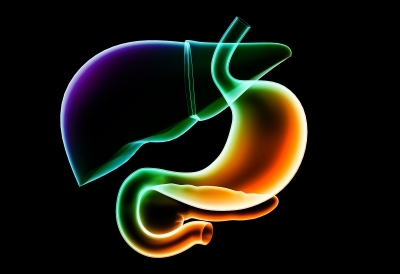 Phosphatidylcholine doubles liver function; one 500 mg. Capsule is sufficient. Natural vitamin E in the form of D-alpha- Tocopheryls is also essential to prevent scarring of the liver; a high dose of 1800-2000 i.u. Is preferred. Berberine can be used cautiously if there is any Metabolic Syndrome X, high blood sugar levels, or diabetes present. Berberine can cause hypoglycemic episodes, it should be taken only with a meal and not at all of symptoms of Parkinson’s disease are present. Silymarin, 500 mg., can be used if liver inflammation is present. Dandelion capsules (up to 5/day) and dandelion greens and tea reduce liver inflammation. Coffee drinking (3 cups daily) or coffee enemas are both efficient liver cleansers. It usually takes a minimum of six months for the liver to detoxify and heal. Exercise and weight loss are an important part of this process. Liver function tests determine the health of the liver. Fructose except that found in fresh, whole fruit must be avoided permanently. Morgana Wyze is a Certified Nutritional Counselor. Please click on hyper links through this article for more information or product sources. Due to the international nature of her practice, Morgana sources primarily through Amazon.com.